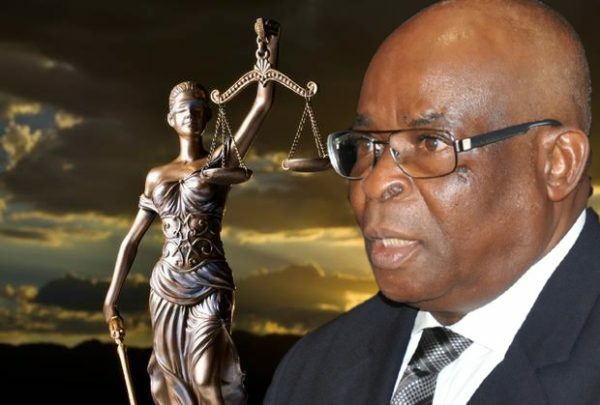 A group of Senior Advocates of Nigeria (SANs), 20 in numbers, under the backing of the Justice Reform Project (JRP) yesterday said Chief Justice Walter Onnoghen’s resignation was not enough in view of “the grave nature of the allegations” against him. According to JRP, extending the anti-graft exercise to other judges will restore confidence in the Judiciary and dampen the impression that the former Chief Justice of Nigeria (CJN) was being victimized. The group, set up to push for reforms in the judiciary/legal profession, is led by one of the oldest SANs, Mr. Ebun Sofunde. Jibrin Okutepa, Dr. Babatunde Ajibade, Prof Ernest Ojukwu, Osaro Eghobamien, Mrs. Funke Adekoya, Kayode Sofola, among others, are members. JRP in a statement said, it noted Onnoghen’s resignation “with concern”, but added that the matter should not end there. JRP advised the Federal Government to look beyond Onnoghen for three reason main reasons. JRP also said: “Beyond Honourable Justice W. S. N. Onnoghen, however, the JRP believes the revelations that have been made in the course of this affair necessitate that urgent steps be taken to identify and sanction all other Nigerian judicial officers who are found to possess inexplicable wealth that cannot be reconciled with their legitimate income or their asset declarations, two of the allegations made against Justice Onnoghen. “Second, to disabuse the notion that Justice Onnoghen’s travails are a mere witch-hunt motivated by ethnic and political interests rather than the result of a genuine concern for sanitizing and reforming the Nigerian judiciary. “Without prejudice to the legitimate clamor for increased budgetary allocation to the judiciary, its financial independence, and improvement in the working conditions of service of judicial officers, all of which JRP wholeheartedly supports, there must be better management of that which is currently allocated. “The legal profession is a self-regulating one, so it behooves all its members to take an active interest in maintaining the standards of rectitude and integrity expected of judicial officers and legal practitioners.